Growing up as an expat was an experience that helped shape Jorge Celaya’s career. His father left Cuba—and his job as an oil industry engineer—in 1960. Before Celaya was fifteen years old, the family had lived in six different places, five of them outside the United States. The frequent moves made Celaya very adaptable and comfortable with change, qualities that have served him well in his professional life. 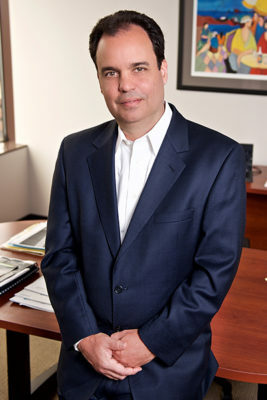 After earning an MBA from the University of Texas, Celaya joined a multinational company and then spent the bulk of his career managing company operations and serving as chief financial officer of various public companies. In addition to starting a private equity firm before assuming the role of chief financial officer at Liquidity Services, he has often been often responsible for business transformations and turnarounds of corporate financial functions. Many financial professionals stay exclusively focused on accounting priorities and overlook the value they can add in support of operations and business growth. Celaya has an insatiable appetite for developing his own and his team’s overall business acumen, including understanding day-to-day operations and business strategy. This enables him and his team to go beyond the raw numbers to what they indicate about the business and its future. Change is never easy, but Celaya has found that particular strategies are effective at managing the challenges that come with it. Ongoing communication and transparency are two of the key elements. He believes the more information teams have to help them understand common goals and how their activities contribute to them, the more motivated they are to collaborate and to be open to the changes or processes being introduced. Celaya facilitates ongoing interactions by regularly speaking with colleagues. It’s not uncommon for him to respond to an email with a phone call or a face-to-face discussion. From experience, he knows that engineers and IT professionals enjoy explaining how things work, so he encourages his teams to ask experts direct questions whenever they have the opportunity. Celaya pays a great deal of attention to striking the right balance of people, processes, and technology, prioritizing them in that order. His first step is to identify people with the right skills and experience in the best organizational design, i.e. those who are willing to learn, willing to expand outside their areas of expertise, and can implement new practices and processes. Once those two elements are in place, they create support for systems. Liquidity Services is in the process of implementing a new internally developed e-commerce platform that will greatly improve flexibility, scalability, and functionality. It will be integrated with a third-party ERP system that replaces other systems the company has been using. The new platform integrates commercial activity with back-office functions. The ERP system also enables shared-service centers for improved efficiency, and it supports project accounting for improved business support in decision making. One of Celaya’s philosophies is that if you’re not making improvements and moving forward, you’re falling behind. To put it into action, he always looks for new solutions to produce new efficiencies, for new opportunities to grow the business, and to learn how the business can compete in new markets. These are what he considers the fun parts of the job. Grant Thornton LLP (Grant Thornton) is the US member firm of Grant Thornton International Ltd, one of the world’s leading organizations of independent audit, tax, and advisory firms. Grant Thornton has revenues in excess of $1.6 billion and operates 59 offices.